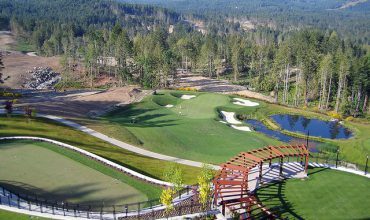 Located near Duncan BC on beautiful Vancouver Island’s Cowichan Valley, Duncan Meadows Golf and Country Club offers exceptional year-round golf. The nearly 7,000 yard Claude Muret designed course offers challenging play for every level of golfer. Duncan Meadow hosted the 2009 Amateur Men’s Championship and in 2011 hosts the Royale Cup Canadian Women’s Amateur championship. Duncan Meadows is a impressive mix of golf links and parkland on the rolling landscape. In addition to great golf, you can enjoy the forest, mountains, valley views and wildlife–deer and bald eagles. The view of the magnificent Mt Prevost is breathtaking. 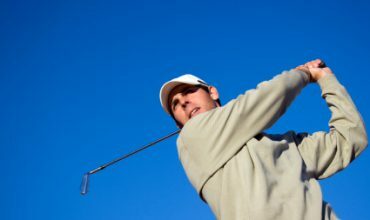 With excellent practice facilities including a large driving range, chipping and putting areas, Duncan Meadows is also a great place to polish your game. If you looking to improve your game or need some pro help you get instruction from Kelvin Trott. Duncan Meadows offers a number of membership categories from regular to seniors to couples to corporate to juniors. Deepening on the membership level members get advance booking privileges, weekend and holiday tee times and more. The course is open to the public but they ask for 7 days advance booking for non-members. Duncan Meadows is an ideal location for weddings in Duncan and the Cowichan Valley. Services and amenities include: banquet facility, full bar, outstanding views and outdoor garden. • A few minutes drive from Duncan, BC. – take Highway 1, exit on Cowichan Valley Highway (BC 18) West, left on Somenos, right on Drinkway Rd, left on N Rd and you are right there. • From Nanaimo – less than an hours drive south on Highway 1, exit right on Cowichan Valley Highway as above. • From Victoria – about an hours drive north on Highway 1, exit left on Cowichan Valley Highway as above.